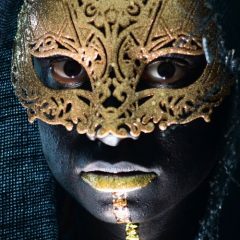 Our Dark Beauty project has shown us some beautiful sites but few as beautiful as Kali, goddess of death portrayed by the lovely Rashi Kukke. This project is based on the Salem Witches in winter. My intent with this project was to create dark and creepy images, but with incredibly beautiful subjects in a raw and unfiltered state.